Raccortubi Group would like to invite manufacturers, distributors, EPC contractors, end users, governmental representatives and media operators to the Fight Fake Products Approved Manufacturers’ Joint Meeting, Open Table & Press Conference at Tube 2016. The aim of the Fight Fake Products initiative is to increase awareness and combat the harmful, illegal practice of branding uncertified goods with approved manufacturers’ names. The approved manufacturers have worked hard to achieve high quality in accordance with stringent standards and provide quality guarantees. Not only do the products that they supply have greater longevity, they are also much safer. The widespread practice of buying cheap, low-quality stock and importing, marking and certifying products with an approved manufacturer’s name is dangerous and damaging to all market players, from manufacturers to end users. As an approved manufacturer, Raccortubi is asking for support at the Fight Fake Products press conference, which will take place on Wednesday 6th April at 13:00 in Room 7, CCD South (connected to Halls 1 & 3) at Tube 2016. 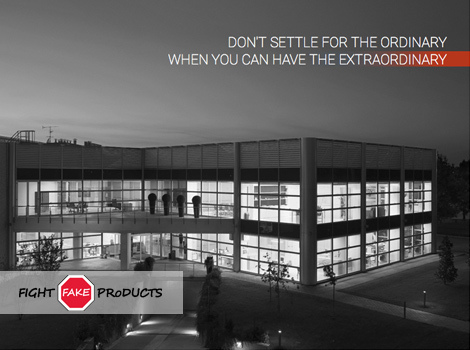 For more information about the Fight Fake Products initiative: www.fight-fake.org. Raccortubi Group es fabricante, depositario y proveedor de productos del sector de las tuberías destinados a aplicaciones críticas, como instalaciones químicas y petroquímicas, instalaciones para la producción de energía, astilleros navales, instalaciones de fertilizantes y plataformas off-shore.